Text in the run-off groove on the A-side says "Life Is Like A Bad Clam" and on the B-side "If You Can't Open It, And It Smells Bad, Don't Eat It!" 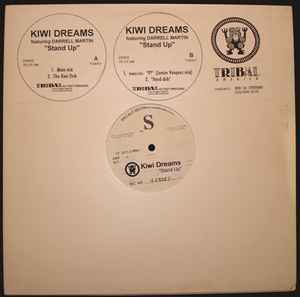 I cannot believe this wasn't released, a absolutely stonking track by Kiwi Dreams just as good if not better than 'Y? '.